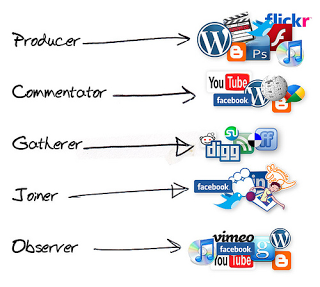 The Five Types of Social Media Users. In the world of social media, all users process and disseminate information differently. There are the producers who create original content. The commentators who keep the conversation going and always having something to say, both good and bad. The gatherers who find the information and overload our feeds. The joiners who strengthen the community and build our followings. Then finally there are the observers who process all of the information which the others have encoded and disseminated. These are the users that increase our views, popularity and hits.